In a rain-affected match as two of IPL 2018's winless teams clashed with each other, there was a lot at stake. Usually, Delhi Daredevils- winless so far in their search for a maiden IPL title crown- begin the tournament slowly. In fact, quite slowly, truth be told. 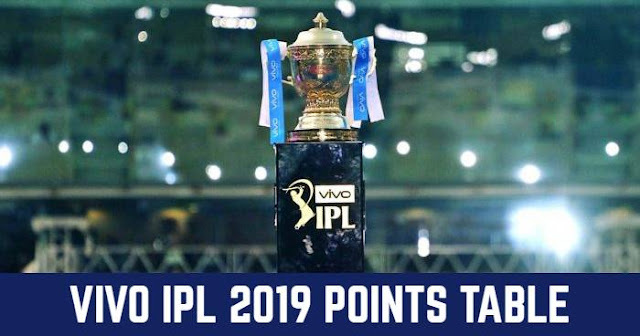 But the same can't be said about Rajasthan Royals, who've not only given rise to prominent careers but have clinched the title in their very first attempt, even though back in 2018. So on April 11, 2018- the clash between Delhi Daredevils and Rajasthan Royals- was ought to be a closely-followed event and even if it came at the behest of a rain-intervention that saw the contest unfold as a truncated version vis-a-vis the full span of 20 overs, it was an absorbing one. In some ways, one's ought to feel for Rajasthan Royals, who, it could be said, we're going very steady despite having not a single player contribute a 50 plus score. Could it be said that originally before the rain came uninvited at the Sawai Mansingh at Jaipur, that they were going lackadaisically with the scorecard telling 153-5 off 17.5 overs? For home fans, this was to have been a mega contest. And that said, least of all, a full-blown contest that deserved the excited audiences to see 40 overs of complete, uninterrupted action. But there's little one can do with rain interruptions come to the fore or when nature decides to intervene. In the end, powered by fluent and vital cameos in the context of Rajasthan Royals' innings, Rahane and Samson's 45 off 40 and 37 off 22 saw Rajasthan recover from quick fall of crucial wickets- once again Stokes and D'arcy Short failing to get going. When for nearly 2 hours at a stretch not a single ball was bowled owing to the wet outfield, those entrusted with giving this high-octane contest a direction and logical conclusion, calculations came to the fore. It was decided that ultimately, Delhi Daredevils would have climb a mountain: 71 off 6 overs. Even to a team that is powered by the presence of someone like Gautam Gambhir and the newly inducted Glenn Maxwell, this was seemingly no easy target to chase. Can batting at 12 an over ever be an easy task. And eventually, much to the chagrin of Delhi Daredevils and the delight of their nemesis on a cloudy, breezy Jaipur evening, the Rajasthan Royals emerged in the 'pink' of health upon the completion of the innings. Though at one stage it could be said that thanks to some direction-less and wayward bowling by Jaidev Unadkat that resulted in Maxwell and Pant- who contributed 17 and 20, respectively, seem potent enough to steal the game away. But thankfully, by way of Undakat and Laughlin grabbing key wickets of Pant and Maxwell- respectively- the game was pushed back in the direction of the 'Royal' hosts. It's never easy when you are to chase 25 from the final over, is it? And it proved just a bit tough for the Delhi batsmen- trying their best to muscle mighty strokes that would go no further- other than land in the hands of fielders position in the outfield as Rajasthan Royals bowlers managed to steal key wickets in the dying stages of a brief contest. The final over of the Delhi inning too produced a key wicket of Vijay Shankar even as Morris could latch on to a six of the very last delivery. In winning the contest by 10 but pretty valuable runs, Rajasthan now have finally opened their account by securing a handy win. Could the evening have gone any better for the Rahane-led side? You know the answer.